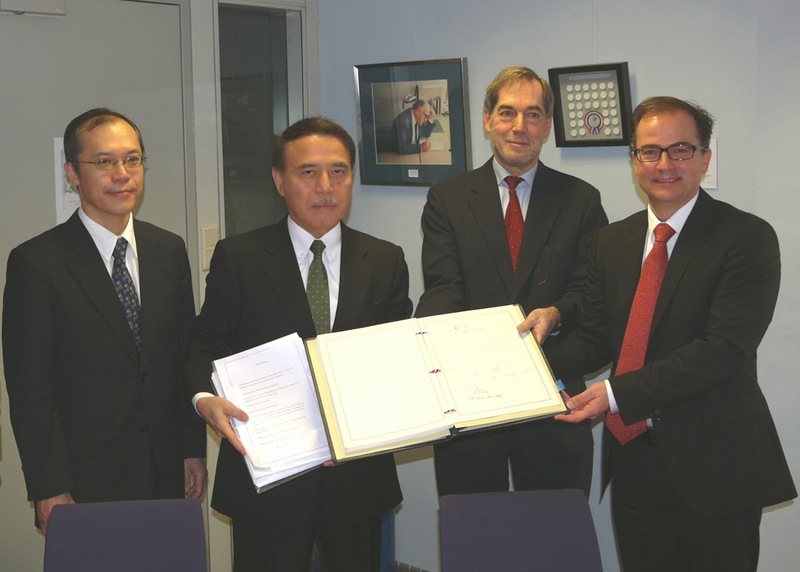 Today in Tokyo, the Government of Japan approved ratification of the 1980 Hague Child Abduction Convention; a few hours later, the Japanese Ambassador to the Netherlands, Mr. Masaru Tsuji, deposited the instrument of ratification, making Japan the 91st Contracting State to this important treaty. This significant development reaffirms that diplomatic efforts among the international community, together with the invaluable assistance provided by the Permanent Bureau of the Hague Conference on Private International Law, are working; it also reaffirms that the Hague Child Abduction Convention is the proper mechanism for all governments and families around the world to utilize in order to settle international child abduction disputes. Japan’s ratification of the Convention comes after long-standing multi-lateral diplomatic efforts combined with global public outcry over Japan’s previous failure to participate in the international child abduction treaty and to offer victimized children and targeted parents of abduction a vehicle to turn to in order to resolve international parental child abduction disputes. The 1980 Hague Child Abduction Convention will enter into force for Japan on April 1st, 2014. Under Japan’s participation, foreign parents who have previously had a child internationally abducted to Japan are not eligible to file a Hague Application or utilize the treaty. Retroactivity remains a concern for hundreds of left-behind parents still seeking to reunite with their kidnapped children. 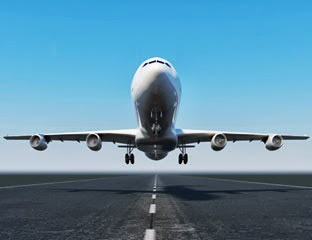 The 1980 Hague Child Abduction Convention seeks to combat parental child abduction by providing a system of co-operation between Contracting States and a rapid procedure for the return of the child to the country of the child’s habitual residence. Judges overseeing litigation revolving around the 1980 Hague Child Abduction Convention are not to determine issues of custody as that issue typically falls under the jurisdiction of the courts located in the child’s country of habitual residency. Japan’s ratification of the convention demonstrates that international diplomacy and education continues to work, while also creating a stronger atmosphere for other countries that are not participants to the 1980 Hague Child Abduction Convention, such as India, to strongly consider ratification. In the past, Japan has been considered a ‘black hole’ for international parental child abductors as the overwhelming number of children abducted to Japan by a Japanese national living abroad have not been returned to the child’s country of original jurisdiction. The vast majority of left-behind parents are fathers residing in Europe and North America. Tragically, the targeted parent often has little or no rights of access or custody to their child once the child lands in Japan due to the country’s antiquated and prejudicial family law policies that tend to grant a child’s mother sole custody of the child while simultaneously removing the child’s father’s access to the child. Japan’s legal system does not recognize the concept of joint-custody. In May 2013, the Diet had approved Japan’s compliance to the treaty, sending out a clear indicator that the country was steadily moving toward participation. Until today, Japan was the only country in the Group of Eight (G8) that has not affirmed the 1980 Hague Child Abduction Convention. The following month (June) Japan’s Parliament enacted a law stipulating domestic implementation procedures for the Hague child abduction treaty. Japan’s Parliament established procedures requiring the country to create a Central Authority under the auspices of the Foreign Ministry. The Central Authority’s responsibilities include the tasks of locating children who have been abducted and encourage families involved in international parental child abduction claims to settle disputes through consultations. If the consultations fail, family courts in Tokyo and Osaka specifically trained in 1980 Hague Child Abduction Convention matters will decide on matters. The Central Authority will be staffed with legal experts in international private law as well child psychologist and domestic violence counselors. A third Hague Court location could later be added. Under the terms of Japan’s Parliamentary action in June, 2013 the new law provides grounds forrefusal to return a child if abuse or domestic violence is feared, issues that are expected to draw keen interest in light of the 1980 Hague Child Abduction Convention’s Article 13, a provision that is almost always utilized by parental child abductors regardless of the gender of the abductor. Child abduction prevention advocates from around the world hope that Japan’s ratification of the 1980 Hague Child Abduction Convention will further push non-Hague countries including India, Saudi Arabia, Egypt, the Philippines, and China (mainland) who are all believed to be actively assessing the Convention with a view to becoming a party to. Today Japan has taken its place at the table of nations and finally a stand against the atrocity of international parental child abduction and severe abuse against targeted children and their families. As Japan works to uphold the 1980 Hague Child Abduction Convention we must first and foremost not forget the children who have been abducted to Japan and their left-behind families, many whom successfully advocated for Japan’s ratification of the 1980 Hague Child Abduction Convention. We invite you to read the official comments shared by The Hague Permanent Bureau concerning diplomacy and Japan’s ratification. Please click here. To visit the I CARE Foundation official website, please click here. Disenchanted Left-Behind Parents And Lawmakers Point To The Need To Create A Strong And Sustainable International Judiciary College And Training Center As The Need For An Educated Global Judiciary and Support Personnel Becomes Clear In Matters Of International Parental Child Abduction and Post-Abduction Reunification. The creation of an International Judiciary College And Training Center is perhaps the singular most important step that can create the greatest impact of protecting the hundreds of thousands of children each year who are targeted for international abduction and trafficking. 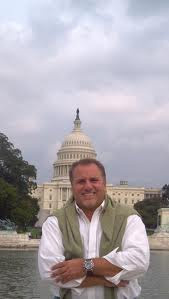 The reality is the vast majority of judges overseeing international parental child abduction cases are not trained in the complex legal, psychological, political, financial, and logistical matters that all impact abduction cases. Given its expertise on the operation of all relevant Hague Conventions, including of course the 1980 Hague Child Abduction Convention, and experience in providing technical assistance to judges and other relevant actors involved in their operation, we suggest and hope that the Permanent Bureau of the Hague Conference can be prominently associated to this proposal and become an integral part of its realization. We believe that the Hague Child Abduction Convention is the right mechanism that all nations must participate in and uphold; however, untrained judges and courts have in fact led to many previous failures including failure to properly and expeditiously oversee legal proceedings seeking the return of abducted children to their country of habitual residency. In addition, failures to have a highly educated global judiciary deeply familiar with child abduction have caused diplomatic unease with the potential of severe long-term problems. For example, if a Hague signatory country that believes other Hague signatory countries do not uphold the intent and spirit of the 1980 Hague Child Abduction Prevention and decide to impose their own penalties and sanctions on countries that do not adhere to the Hague Child Abduction Convention we may have a significant disaster on our hands. The risk that any legislation that seeks sanctions from a member-state against another state may have the potential to remove the validity of the international treaty and may in reality cause more children who are abducted to not be returned to their country of original jurisdiction particularly if countries take matters into their own hands and remove diplomacy. Should other states signatories of the 1980 Hague Child Abduction Convention implement similar law or policy that seeks sanctions against one another, one of two things may happen. The first is (and we hope this is the case) that more states will comply with the spirit and intent of the abduction convention. The second possibility is that new laws and policies established to sanction non-compliance could lead to the demise and viability of the 1980 Hague Child Abduction Convention. Creating an International Judiciary College and Training Center ideally under the auspices of the Permanent Bureau and capable of training on an ongoing basis a significant number of judges and other relevant actors involved in the operation of the 38 Conventions adopted under the auspices of the Hague Conference on Private International Law including the 1980 Hague Child Abduction Convention would have a dramatic impact on reducing the global abduction rate while also increasing diplomatic relationships amongst countries as it is highly conceivable that the existing issues of lack of judicial compliance and adherence to the abduction convention would be mooted as more judges become trained on Hague matters. Unquestionably, we acknowledge the existence of significant failures amongst the judiciary and support personnel (including untrained child therapist and psychologist who are hired to assist in abduction matters but who do not understand the unique and complex issues surrounding abduction and child custody) around the world to understand the scope and nature of parental abduction and the tendency of untrained judiciary to allow abduction defense litigation to derail the very nature and scope of the 1980 Hague Child Abduction Convention that’s very purpose is to determine which court has a right of jurisdiction on a child’s welfare and then to return that child to such jurisdiction. Equally, there are grave challenges many children of abduction face post-reunification. The majority of the hardship a child faces often revolves around new actions created by the abducting parent who was forced to return with the child to the country of original jurisdiction. In these cases the abducting parent will often make new false claims against their previous victimized targeted parent in hope to create an environment that would enable them to remove the child from the country or original jurisdiction. At times this is done illegally and at other times new charges of abuse are levied in hope that a court will grant the previous abduction parent full custody of the child coupled with mobility to relocate abroad. The challenge in post abduction cases where new allegations of abuse are made is that all actors involved in protecting the child’s best interest – judges, law enforcement, child therapist and evaluators, and social workers – all must consider the previous abusive act of abduction and the intent of the complainant who makes the allegations against the previous left-behind parent. Failure to thoroughly consider all abduction events and weight the horrendous acts of abuse related to a child’s abduction is in fact a complete and unacceptable failure for a legal system and its actors to protect a child. Sadly, lack of understanding concerning the unique matters associated with international parental child abduction during and post-reunification by the necessary actors charged with protecting a child, including judges, law enforcement, child therapist and social workers only creates an environment that perpetuates further abuse of the child. The creation of an International Judiciary College And Training Center that can educate all actors dedicated to protecting children from child abduction and assisting them post-reunification would have far-reaching benefits. In addition, a judicial college could provide a window of understanding amongst non-member states as to the benefits of participation in the Hague Conferences and become a signatory of its various conventions. Understanding and knowledge opens the possibility for non-member states to participate in various conventions that they may have been hesitant to do previously. The benefits of world-wide participation would in fact create an underpinning of global accountability on both social and economic matters covered by any of the relevant Hague Conventions. These benefits would have far-reaching social benefits and economic advantages. For example, it would be reasonable to expect that convention compliance will increase due to increased understanding amongst the world’s judiciary. Economic benefits would be staggering: for example, costs associated with international child abduction would be dramatically reduced as cases are expedited at the ‘In-bound’ country level – saving both time and money for all parties involved. We strongly point out that if the international community fails to create an International Judicial College, preferably under the auspices of the Permanent Bureau of the Hague Conference on Private International Law that would become a central education, research, and training center for the world’s judiciary, the 1980 Hague Child Abduction Convention is at risk of becoming an obsolete tool if countries begin to subjectively sanction one-another for failures to return an abducted child. The ramifications of countries issuing subjective sanctions against one another can become a very real problem and threat to the needs for increased diplomatic relations in our ever-increasing globally connected world. It is critical that we point out that during international parental child abduction the victimized child is not the only victim. The targeted parent is also a tragic victim as they are often thrust into an unknown storm that has limited navigation maps to guide them through. Adding to the challenges of a left-behind parent is the reality that the key actors that they turn to for help such as the courts and judges, law enforcement, and social workers and child therapist often do not understand the complexity and severe dynamics of abduction. Combining these issues is that the legal system itself, if overseen by an inexperienced judge, can exasperate abduction cases by not following the intent and spirit of the 1980 Hague Child Abduction Prevention to preside over legal proceedings in a fastidious manner. Of great concern is the reality that victimized left behind parents who successfully reunite with their child but find themselves facing additional schemes that utilize their child they are desperate to protect often lose hope in the legal system they once turned to for help. When this type of disenchantment occurs due to real failures by the actors who were responsible to protect the child and the victimized parent the result is anarchy. Everyone suffers. Everyone. We must protect our children from abuse. In order to do so we must create an International Judiciary College And Training Center. The I CARE Foundation takes international child abduction very seriously and feels that there should be zero tolerance for anyone that is involved in planning or participating in these abusive crimes that victimize innocent children and unsuspecting parents. As a parent one does not have the right to abduct a child, nor should a parent ever think that removing a child from the other parent by way of abduction is in the child’s best interest. It definitely is not! There are both short and long-term ramifications on the child, and these are well-documented. The underlying reality is that once abduction occurs, regardless if the kidnapping is done by a known person or stranger, the child’s safety is placed in grave risk. The year 2013 was a very successful year in the fight to protect children from international parental child abduction. In saying that, I invite you to read the I CARE Foundation's 2013 Year In Review. This overview is not only a look back at what was accomplished during the past year, but is also a plan on how we can, and will, end international parental child abduction and trafficking. Though we still have a long way to go, we are heading in the right direction. 2013: Substantial Global Gains Made Working To Protect Children From International Parental Kidnapping With The Promise Of Substantial Continued Success In 2014. We expect that 2013 will be viewed by stakeholders dedicated to preventing the inhumane crime of international parental child kidnapping and who work to reunite abducted children with their targeted families as a year when the daunting global fight to protect children from abduction and trafficking made real, measurable, and promising strides that are expected to have a far-reaching long-term positive impact for a substantial number of existing and future children and their families located around the world. Nevertheless, real problems and challenges still remain. It is our strong hope that 2014 will build upon the important progress made in 2013 and become known as a year when new global initiatives hopefully under the leadership of the Hague Conference on Private International Law (i.e., the Intergovernmental Organization under the auspices of which the 1980 Hague Child Abduction Convention was adopted) and its Permanent Bureau (Secretariat), have a far-reaching positive impact protecting children everywhere. International parental child abduction in itself is a highly abusive and at times deadly act that targets hundreds of thousands of children around the world each year. In many countries, parental abduction is a crime, while in other less progressive countries parental abduction tragically remains a part of an unjust social and cultural climate where justice and equality, particularly for women, are fleeting concepts. In nearly all circumstances of parental abduction, children are used as pawns by their abducting parents to extract a premeditated plan, including but not limited to causing severe suffering to the child’s other parent. Of grave concern and perhaps one of the greatest challenges that children and their targeted parents face is the lack of accountability courts hold abductors or would-be abductors to either when an abduction scheme is prevented or after a child is successfully returned to their country of original jurisdiction. Without holding a parental child abductor accountable not only will many targeted parents remain in the cross-hairs of a vengeance-seeking abducting parent who has already caused both them and the victimized child considerable harm, but it also sends a dangerous global message that would-be parental child abductors have limited risks of legal accountability before courts and law enforcement. As society becomes more aware and intolerant of these unforgiveable kidnappings against a child, there cannot be a contradictory message of responsibility in lieu of the abusive acts committed. Most importantly, we point out that children who have previously been the target or victim of a parental abduction are at great risk of a second abduction. Failure to protect these children from new threats is to minimalize their lives and a right to happiness. In this spirit it is critical that courts act to safeguard the rights of children at risk of abduction: anything less would essentially legalize the spirit of parental abduction and that would be unthinkable. There have been many sobering moments during 2013, including a U.S. government issued report published in June 2013 reiterating that children victims of parental abduction face extreme severe physical and emotional abuse at the hands of their abducting parents. The fact that children of parental child abduction are at grave risk of filicide – murder by their taking parent – tells the real story as to why all members of society should be outraged at the very notion of international parental child abduction. Truth is, the majority of professionals who are dedicated to stopping abduction are not simply trying to prevent an abusive kidnapping, but a possible child murder. Now if you’re like most individuals you may ask yourself, ‘How can a parent murder their child?’ Sadly, this is not the notion of extreme activist trying to play on your sentiment. The reality is thousands of children each year are murdered by their parents. Combining the reality of filicide is the apparent ties to post-abduction suicide amongst adults who experienced the extreme violations of parental abduction in their childhood. Of course, all targeted children of abduction have to deal with the fall-out of parental alienation and isolation. The reality is that a would-be abductor attempts to steal the identity of the child by denying their other parent’s existence. Make no mistake about this: children caught in the scheme of abduction face extreme emotional hardship that has serious short and long-term consequences. The reality is that international parental child abduction continues to significantly grow outside of the United States (we take exceptional note that the majority of Hague-states signatory of the Hague Child Abduction Convention have not publicly or privately reported their inbound or outbound abduction cases in years: something that must change in 2014 and beyond as failure of transparency in reporting has only allowed the abduction epidemic to manifest by in essence concealing the very real global epidemic). For example it is reported that international parental child abduction has doubled in the past decade in the United Kingdom. This is intolerable, particularly when we consider that the United Kingdom is progressive in their activity to stop abduction. Now imagine what the true reported and unreported abduction statistics for countries such as Japan, the Philippines, India, or Nigeria? We reiterate our unmovable position that international parental child abduction is a severe act of child abuse with far reaching consequences on a targeted child that will impact all phases of their life. Consequently, we equally acknowledge the high-degree negative impact abduction has on victimized targeted parents who tragically have every aspect of their life heavily impacted and who often have limited recourse during and post-abduction to defend against a predator parent’s behavior in a post-reunification aftermath. We affirm at the highest degree that targeted parents of international parental child abduction are also real victims of the inhumane act of abduction directed at their child. We call upon all stakeholders who work to protect children to also take stake in the interest of targeted parent-victims. 1. The creation of an International Judiciary College is perhaps the singular most important step that can create the greatest impact of protecting the hundreds of thousands of children each year who are targeted for international abduction and trafficking. The reality is the vast majority of judges overseeing international parental child abduction cases are not trained in the complex legal, psychological, political, financial, and logistical matters that all impact abduction cases. Given its expertise on the operation of all relevant Hague Conventions, including of course the 1980 Hague Child Abduction Convention, and experience in providing technical assistance to judges and other relevant actors involved in their operation, we suggest and hope that the Permanent Bureau of the Hague Conference can be prominently associated to this proposal and become an integral part of its realization. In addition, failures to have a highly educated global judiciary deeply familiar with child abduction have caused diplomatic unease with the potential of severe long-term problems. For example, in the United States, HR 3212 seeks the United States Congress to impose penalties and sanctions on countries that do not adhere to the Hague Child Abduction Convention. On the onset, HR 3212 may appear to have merit; however, any legislation that may remove the validity of the international treaty may in reality cause more children who are abducted to not be returned to their country of original jurisdiction particularly if countries take matters into their own hands and remove diplomacy. In this sense, the United States Department of State's leadership within the Office of Children's Issues (the acting Central Authority for the Hague in the United States) has done an outstanding and exemplary job both preventing the number of children who are internationally abducted: the reported cases of international abduction amongst American children has declined by over 23% during fiscal years 2011 and 2012 and we fully expect the 2013 reported abduction cases to decline. As the I CARE Foundation has assisted targeted parents around the country prevent abduction, we have seen first-hand the exemplary work and dedication of the Office of Children's Issues. Furthermore, the Office of Children's Issues has played an important and helpful role assisting targeted parents who have had their child abducted. The reality is there is a long way to go but the Hague Convention is triggering for the rightful return of children of more children each year. This is a considerable event when we take into consideration the limited power vested in the Office of Children's Issues by Congress. Truth is, intergovernmental diplomacy is working with meaningful strides being made each year. In contrast, the reality of creating a precedent for any one country to create self-imposed sanctions undermines the essence of the Hague Child Abduction Convention and the significant progress that has been made. In addition, we must point out those failures to return children to their country of original jurisdiction are a global problem primarily perpetuated by indecisiveness and lack of understanding at a judicial level. These failures at the court level amongst all signatory states are real, and no country is excluded. Should other states signatories of the 1980 Hague Child Abduction Convention implement similar law or policy as that set forth in the HR 3212 bill, one of two things may happen. The first is (and we hope this is the case) that more states will comply with the spirit and intent of the abduction convention. The second possibility is that new laws and policies established to sanction non-compliance could lead to the demise and viability of the 1980 Hague Child Abduction Convention. Creating an International Judiciary College, ideally under the auspices of the Permanent Bureau and capable of training on an ongoing basis a significant number of judges and other relevant actors involved in the operation of the 38 Conventions adopted under the auspices of the Hague Conference on Private International Law including the 1980 Hague Child Abduction Convention would have a dramatic impact on reducing the global abduction rate while also increasing diplomatic relationships amongst countries as it is highly conceivable that the existing issues of lack of judicial compliance and adherence to the abduction convention would be mooted as more judges become trained on Hague matters. Unquestionably, we acknowledge the existence of significant failures amongst the judiciary around the world to understand the scope and nature of parental abduction and the tendency of untrained judiciary to allow abduction defense litigation to derail the very nature and scope of the 1980 Hague Child Abduction Convention that’s very purpose is to determine which court has a right of jurisdiction on a child’s welfare and then to return that child to such jurisdiction. 2. It is believed that the Hague Conference on Private International Law, the origin of which goes back to 1893 and under the auspices of which 38 conventions have been adopted including the 1980 Hague Child Abduction Convention , has a total operating budget of less than 3,800,000 Euro per year. This operating budget is paid for by the Hague Conference member states. The reality is that the small budget at the disposal of the Permanent Bureau is severely limiting its effectiveness and reach, including expanding activity in research, education, program development, outreach, and monitoring. In order to increase the effectiveness of the Permanent Bureau, there must be an increase in public funding amongst member states combined with a collaborative funding effort amongst private-sector organizations. Unquestionably, private-sector funding holds the key to the viability of the Permanent Bureau’s reach as society moves closer toward the ideals of global citizenship and where global economic accountability requires private-sector organizations to participate in upholding international treaties (the Hague Conference on Private International Law has not only adopted important and widely ratified Conventions in the field of child protection and family law, but also in the fields of cross-border civil procedure and legal cooperation, commercial law and finance law). We believe there unquestionably exist significant financial resources available to expand the Permanent Bureaus’ activity through a variety of private financial sourcing pools and philanthropic organizations who understand the short-term and long-term benefits of increasing the capability of the Permanent Bureau. In a world where business, activism, and social understanding of one another now operates at a global level, there is a large and growing number of private-sector stakeholders interested in supporting the work of the Hague Conference on Private International Law and more specifically the numerous important tasks of its Permanent Bureau (which in fact is its Secretariat and which has a staff of less than 30 people). Furthermore, we believe that every member state must increase their financial participation and support of the Permanent Bureau. The fact that a leading international organization that exists today to create and uphold international conventions that benefit our global social and economic realities operates on less than a shoe-string budget diminishes the true capability of the very institution that was created to establish critical multi-national treaties and protocols in the names of global cooperation, collaboration, and world peace. Without an increased operating budget, the true benefit of the Permanent Bureau will be dramatically reduced particularly if countries fail to comply with the various conventions, including the abduction convention. 3. It is critical Permanent Bureau create a global outreach and monitoring advisory program for Hague member states. A well trained central advisory division within the Permanent Bureau capable of traveling to various countries and working at a grass-roots level to educate key stakeholders on various convention issues would go a long way toward global compliance, economic prosperity, and increased diplomacy. The benefits are staggering. Personnel for a central advisory division could originate from the proposed international judiciary college. 4. The vast majority of reported cases of global international parental child abduction occur when a parent wrongfully detains a child abroad without consent of the child’s other parent or a court order. 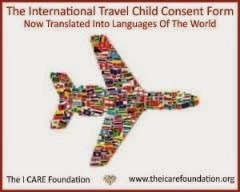 In June, 2013 the I CARE Foundation released a groundbreaking I CARE Foundation International Travel Child Consent Form that is Hague-centric in content and scope. The I CARE Foundation’s travel form has been successfully utilized around the world to protect children from abduction as it guards against intent of travel and protects matters related to a child’s court of original jurisdiction. With keen awareness of Articles 2, 12, 13, and 20 of the 1980 Hague Child Abduction Convention this landmark travel consent form or a travel consent form based upon the I CARE Foundation’s travel form, we hope to bring the need for standardized, global travel consent form back on the agenda of the Special Commission that discusses the practical operation of the 1980 Hague Child Abduction Convention (the last meeting of this Special Commission took place in 2012: if the usual rhythm of these meetings is maintained, the next one should take place in 2015). 5. 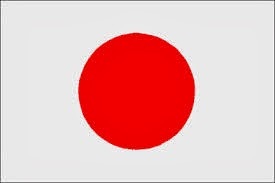 Expanded efforts amongst the Permanent Bureau and member states to urge non-member states to participate in the 1980 Hague Child Abduction Convention will continue and are expected to have positive results such as Japan’s participation in the abduction convention (Japan is expected to join the Convention in the early part of 2014). Diplomacy must continue and must be nurtured carefully especially as the Hague Permanent Bureau’s outstanding leadership continually acts to bring non-signatory countries particularly those located in Asia, the Middle East, and Africa to join the table of nations at the Hague. There have been noteworthy accomplishments during 2013 that have and are expected to continue to bring about further positive change that will protect children. In fact, noteworthy efforts originating from the Hague Conference on Private International Law combined with initiatives by many Hague-signatory nation-states and their respective oversight agencies dedicated to protecting children have created an atmosphere of abduction intolerance. Joining these efforts by many governments sitting at the table of nations has been substantial efforts by private sector organizations that have also had also had a significant impact protecting children and their targeted families from abduction. We are pleased to share that the reported cases of international child abduction in The United States declined by over 23% collectively during fiscal years 2011 and 2012 in contradiction of expected combined growth of over 30% during the same time period. In addition, it is our expectation that the upcoming United States Department of State’s report to Congress on Compliance To The Hague Conventionconcerning international abduction of American children will demonstrate there was another significant decline in outbound child abductions during 2013. The Department of State report is expected out this spring. Based upon the I CARE Foundation’s substantial efforts working with families we assisted combined with efforts made by other notable non-government organizations around the world, there is optimism that we will see a landmark three-year decline in the reported abduction rate. Several primary reasons why the United States is experiencing a reduction in their international parental child abduction rate includes the incredible efforts by the men and women who work for the United States Department of States Office of Children’s Issue. In the eyes of many stakeholders, ours included, the team at OCI are true heroes who work day-in and day-out trying to protect children. Despite operational and policy handicaps and restrictions, the reality is that there has been a decline of 23% in the reported cases of U.S. outbound abduction while the rest of the world’s abduction rate appears to be soaring. We can’t stress this enough: diplomacy is working. The Department of State’s efforts at the table of nations to continue to foster other countries not only to participate and uphold the spirit of the Hague Child Abduction Convention combined with noteworthy operational steps to prevent abduction are worthy of emulating. Are things perfect? No. Far from it. Nevertheless, 2013 will be viewed as a year where seeds of change previously planted took root with the expectation that a paradigm shift will occur in 2014, particularly as efforts to create an International Judiciary College will hopefully move from the conceptual planning stage to a permanent fixture, and implementation of the I CARE Foundation’s International Travel Child Consent Form continues to be utilized, upheld, and honored amongst member states. Before sharing an overview of the I CARE Foundation’s 2013 activity and accomplishments, we would like to acknowledge that the gains made to protect children are due in great part due to indefatigable efforts of organizations in the private sector such as the I CARE Foundation, Reunite, BAC HOME, and theBring Sean Home Foundation coupled with collaborative efforts to assist children by individuals working within numerous government organizations dedicated to protecting children. Clearly, there is a long way to go . . . but we’re on the road. 1. In June, 2013 the I CARE Foundation released the year-long development of the groundbreaking I CARE Foundation International Travel Child Consent Form and legal brief that has been hailed as a landmark Hague-centric international parental child abduction prevention tool focusing on critical issues revolving around a child’s travel abroad. Concentrated development of the only Hague-centric global child abduction prevention tool that can be utilized amongst all Hague Convention and non-Hague Convention member states’ citizens initially occurred during 2012 and is the product of an I CARE Conference held at the United Nations. The positive impact of the I CARE Foundation International Travel Child Consent Form is best viewed by the large number of children around the world who have safely traveled to another country and successfully returned home without incident using the form. In fact, to the best of our knowledge, not only have all children who traveled using the travel form returned home, but equally, when a parent seeking to travel abroad with a child refused to sign the consent form, their action led to a court restricting travel while also directing additional abduction prevention measures. In 2012 the I CARE Foundation developed the concept of our travel consent form. In 2012-2013 the I CARE Foundation diligently created the travel document and supporting legal brief. In the summer of 2013 the I CARE Foundation launched the travel consent form worldwide to great approval by global stakeholders. During the same time period we worked diligently to educate attorneys around the globe as well as raise awareness amongst all Hague Convention Central Authorities of the existence of and implementation of this landmark abduction prevention tool. In 2014 we will continue to monitor the global implementation of the travel form under a Special Committee consisting of noteworthy international child advocates deeply familiar with abduction and report our findings to the Hague Permanente Bureau in anticipation and hope that a travel consent form will become a mechanized tool for the 1980 Hague Child Abduction Convention. 2. In 2013 the I CARE Foundation’s efforts to raise global awareness of international parental child abduction continued as we increased our efforts in all areas of global outreach to both potential targeted parents of child abduction as well as to stakeholders in the legal community around the world in order to share our research and special reports on abduction. Perhaps of greatest value once again was the incredible importance of our initiatives working with parent blog writers. This core reader audience is similar to the demographic core audience of targeted parent victims of abduction. Praise given to parent blog writers for raising awareness of international parental child abduction and the impact of these efforts cannot be high enough. In addition and of equal note is the I CARE Foundation’s continued efforts to share our research findings and initiatives with attorneys around the world dedicated to preventing abduction. Our outreach continues to educate a global legal community who in turn are able to better protect at-risk children. 3. The I CARE Foundation has continued to conduct extensive research and publish our findings in the area of international parental child abduction. Using these findings we have worked to educate lawmakers and policy administrators on key information and issues as they may arise in order to help create new policy or modify existing policy to better serve children. 4. The I CARE Foundation’s global efforts have played critical roles in preventing a large number of international parental child abductions while also being key stakeholders in the legal reunification of many abducted children. Our work protecting children from abduction has come in many forms including incredible efforts by lawyers in our attorney network litigate abduction prevention cases, to providing expert testimony before a host of various courts in multiple jurisdictions, to educating members of the judiciary and members of the courts (lawyers) about the many facets of abduction and prevention. In addition, we have continued our outreach programs focused on educating possible targeted parents of child abduction of both warning signs and how to act in the event of abduction. In addition, we have successfully worked extensively with numerous parents, attorneys, and other key stakeholders from around the world safely and legally reunite with abducted children primarily but not limited to utilization of the 1980 Hague Child Abduction Convention. We take exceptional note that programs like the United States’ Prevent Departure Program became more widely utilized to help prevent abduction, while familiarity with abduction loopholes such as those created by the Western Hemisphere Travel Initiative policy allowed targeted parents and their legal advisors to guard against abduction possibilities. We voice our strongest opinion that the 1980 Hague Child Abduction Convention does work. We take exception to individuals who attempt to re-abduct their children by not seeking assistance through courts of jurisdiction. 5. We continued our work advocating for new child abduction prevention and reunification policies around the world. 6. We continued to work with leading organizations dedicated to stopping child abduction in our effort to create solutions to the abduction crisis. 7. We continued to develop new tools that we expect will prevent abduction. After near-steady 20% international parental child abduction growth per year over the past decade, the U.S. reported outbound abduction rate declined by over 15% in fiscal year 2011 and 16% in 2012. We look forward to the U.S. Department of State’s 2013 international child report to Congress due out the spring of 2014, as we anticipate another decline in the reported cases of international parental child abduction. The second half of 2013 was a time when we realized the benefits of many of our initiatives. However, perhaps the most important events of 2013 took place in the fourth quarter of 2013, when a series of high-level meetings that took place in Washington, D.C. laid the path for our global initiatives of 2014. In the coming months, we look forward to sharing the size and scope of these initiatives and look forward to supporting in any way possible the leadership charged with oversight and implementation of these possibilities. It is for this reason that 2013 may be viewed as a paradigm in the fight to stop international child abduction and trafficking. International parental child abduction is a complex matter that often ends with a child not being returned to their home country. This is unacceptable. In this regard, we would like to acknowledge the grave challenges many chasing parents who were previously targeted for abduction face, knowing that a complex, uneducated judicial system combined with local politics often leads to heartbreaking futility. 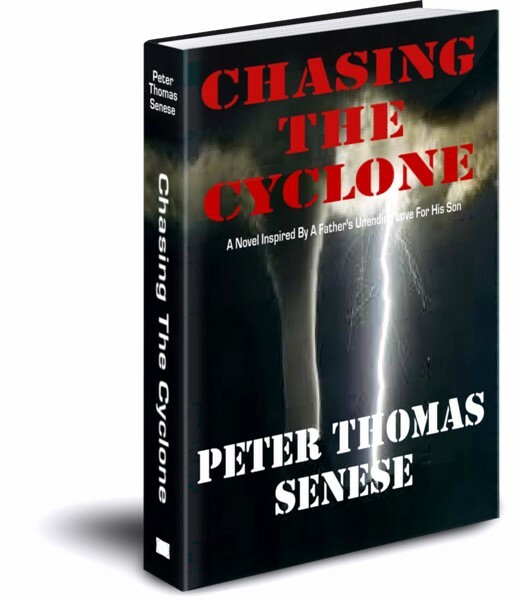 We remind each of you who chase the cyclone of international parental child abduction to know and never let go of your hope for it is the most powerful tool you have in your quest to reunite with your abducted child. On behalf of the I CARE Foundation, we continue our commitment to protect children from international abduction and trafficking in 2014. We invite you to read a sampling of sworn testimonials from parents the I CARE Foundation has assisted.